Olympic bronze medallist Lutalo Muhammad will miss the 2015 WTF World Taekwondo Championships in Russia in May because of a knee injury. Muhammad, 23, damaged a knee cartilage in one of the final training camps with the Great Britain squad but hopes to be fit for the European Games in June. This year's US Open winner will not be replaced in the squad. 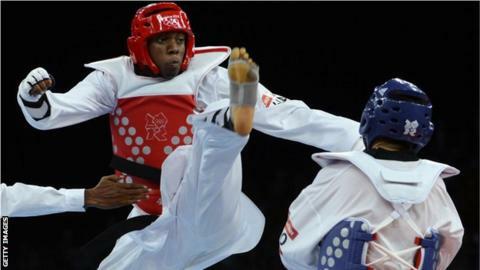 He said: "I would have loved to fight at the World Championships but I am sure my team-mates will do me proud." Muhammad, who was third at London 2012, was due to compete in the -87kg division in Chelyabinsk on May 16. His withdrawal leaves Great Britain with a 13-strong squad for the competition.